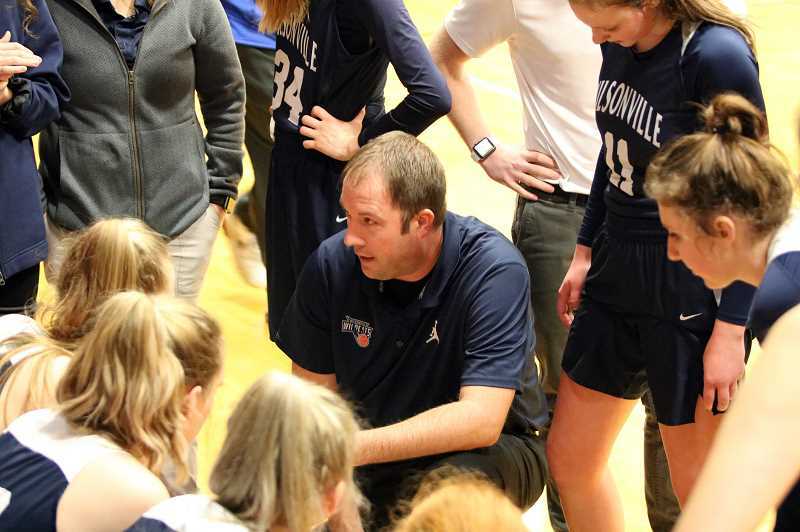 The Wilsonville Wildcats did what no other Northwest Oregon Conference girls' basketball team had ever done before Tuesday night. They beat the La Salle Prep Falcons. Sydney Burns scored 19 points to lead four Wilsonville players in double figures as the top-ranked Wildcats rallied in the second half for a 71-59 Northwest Oregon Conference road win, snapping La Salle Prep's 83-game league win streak — a string that stretched over eight seasons. Wilsonville's Teagen McNamee added 12 points off the bench, including nine in the third quarter to help fuel a 21-7 Wildcats' run that turned a 39-36 halftime deficit into a 57-46 lead. La Salle's Lauren Vreeken worked inside for a basket to cut Wilsonville's lead to 58-50 with 6:42 remaining, but that was as close as the Falcons came down the stretch. "That is something that the girls have been working for, for a long time," Wildcats coach Justin Duke said. "If you want to be the best, you've got to beat the best, and La Salle has been the measuring stick for 5A girls basketball for the last four years. "I'm just really, really happy for the kids. They wanted this one really badly. We knew about La Salle's win streak, and to come over here to their gym and do what we did is something special." Tuesday's loss was La Salle's first in league play since a 68-35 loss to Madras Feb. 17, 2012, and snapped a string that had seen the Falcons go undefeated in league play each of the past six seasons — two in the 4A Tri-Valley Conference and the last four in the 5A NWOC. "You know what? It's done and it's just another basketball game," Falcons coach Kelli Wedin said. "Yeah, there was a lot on the line, but ultimately this isn't the game that determines our season, at all. "It's just another thing that's going to help identify who we are, what we're made of, what we want to do, and the things we need to do to get better in order to achieve what we ultimately want to achieve," Wedin said. 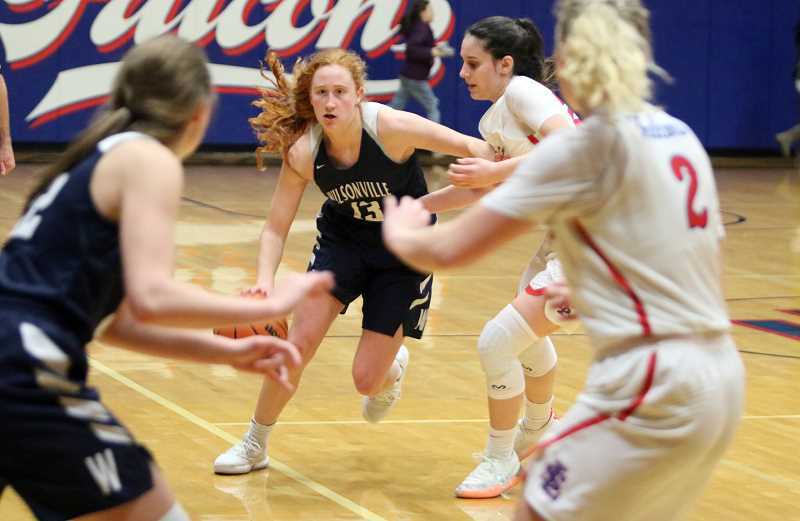 There were three times in the first half when Wilsonville led by as many as seven points — the third time when senior guard Cydney Gutridge knocked down a 3-pointer from the top of the arc to give the Wildcats a 32-25 lead with 3:59 remaining in the second quarter. La Salle charged back, closing the half on a 14-4 run and taking a 39-34 lead into the break. 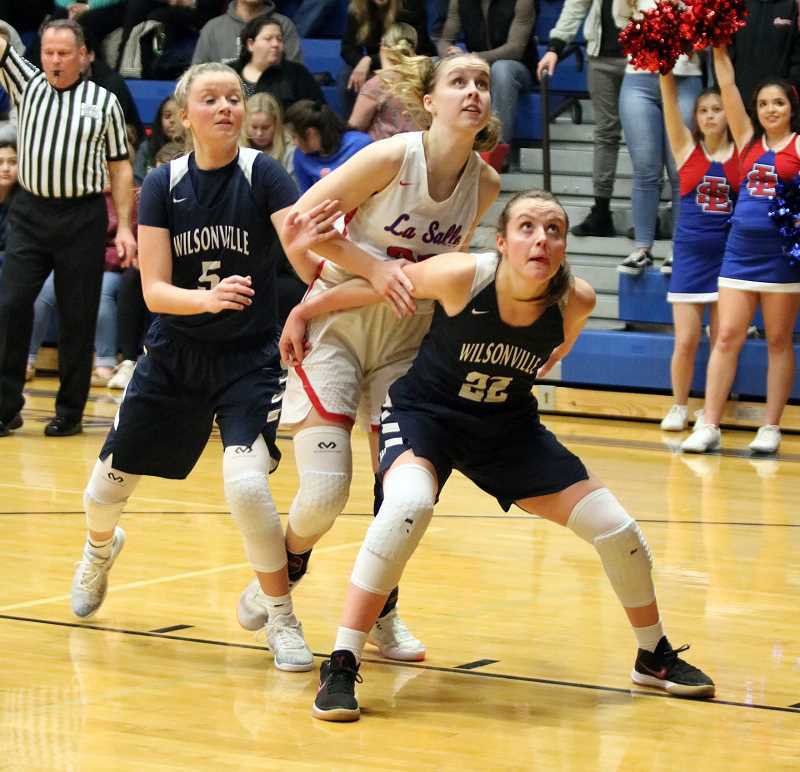 "At halftime, we realized that the game wasn't over," said Burns, Wilsonville's sophomore guard who led the Wildcats with 12 first-half points. "The score didn't matter. We had another 16 minutes to give all we had. "In the third quarter, we had amazing energy. Even as we made mistakes, we picked each other up and tried to keep focused on the game instead of worrying about the mistakes or anything else that went wrong." When Burns drew her fourth foul with 5:43 to play in the third quarter and Wilsonville trailing 41-40, it looked like an opportune time for La Salle to add to its lead. Instead, the Falcons went into a tailspin, coming up empty on six of its next seven possessions while running into their own foul troubles with Lindsay Drango picking up her fourth, Amanda Sisul her third, and Addi Wedin her fourth — in that order and all in a span of 33 seconds. At the other end of the court, the Wildcats went on a 15-1 run that started with McNamee's go-ahead 3-pointer and ended with Emilia Bishop's put-back basket off her own miss to give Wilsonville a 55-42 lead with 1:54 left in the third quarter. It wasn't much of a game after that. "Going into halftime, we were getting our rhythm and doing the things we needed to do." Kelli Wedin said. "Then the second half was like the 'Twilight Zone' and we went back on our heels again for a little bit offensively. 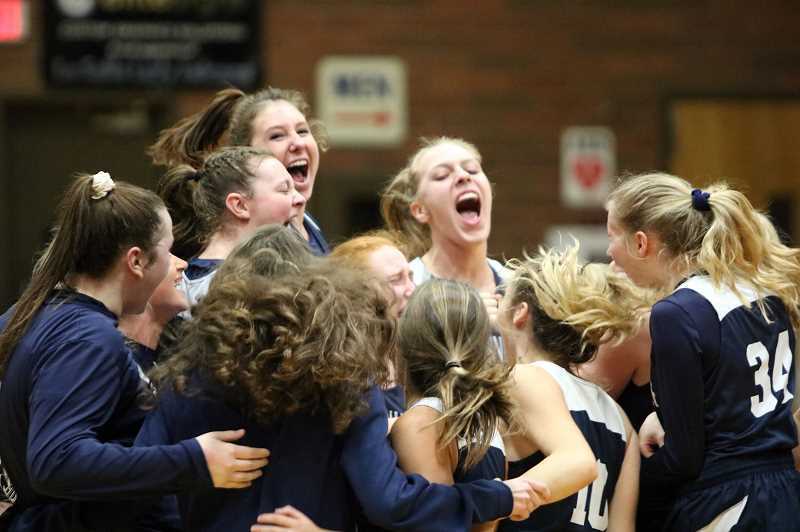 "When Addi got her fourth foul, that's really when Wilsonville sort of separated from us. We had some good opportunities and we were getting stops on the defensive end, but we couldn't knock down any shots for a good stretch there and you can't go cold when you're playing a good basketball team." Gutridge finished with 11 points for Wilsonville and Reese Timm added 10 for the Wildcats (10-4, 3-0 NWOC) before she injured her right knee with 1:59 remaining in the fourth quarter. "I definitely think the keys were staying positive and making sure that everything that was going on around us didn't get in our head," said Bishop, the Wildcats' sophomore post who chipped in eight points. "That's the best we can do is stay focused on team ball and play our game." Said Burns: "We knew we had to come in and compete. Our team can struggle on defense sometimes and go into lapses, so tonight we knew we had to communicate with each other and keep our focus on defense, which would then fuel our offense and fuel our energy throughout the game. "We knew about La Salle's streak, but we tried not to think about that. We just thought about this game, and we didn't need to think about the past or the next time we play them. We just wanted to focus on this one and give it all we had tonight." La Salle's Emily Niebergall scored 13 of her team-high 18 points in the first quarter, while Addi Wedin finished with 14 points and Mia Skoro had 12 for the Falcons (10-4, 2-1). "Obviously, we fell short, but I think we tried to give it our all," said Jessica Loboy, the Falcons' senior forward who had nine points. "The foul trouble kind of messed with our heads, but as a team, we just needed to stay together. "It's upsetting, but we're going to use it as motivation. It's going to fuel our fire." La Salle again was without Alyson Miura, the USC-bound senior guard who played in the season opener and then went to the sideline with a shoulder injury. There is no timetable for her possible return to the lineup. "No idea," Kelli Wedin said. "I'm just focused on my nine, and if we get her back, bonus. If not, those nine that are out there working every day, that's who I'm committed to and dedicated to helping along the way."